Photo: Frank Howard House, ca. 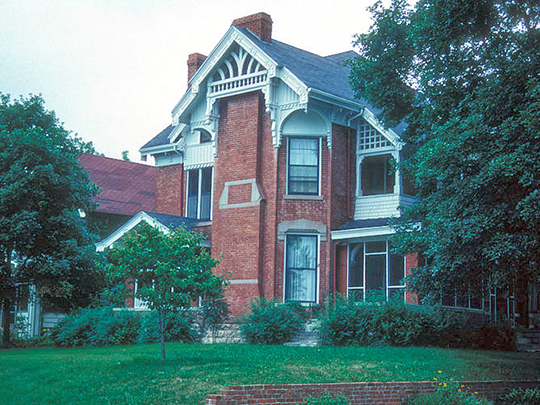 1885, 305 North Terrace Street, Atchison, KS. Listed on the National Register of Historic Places in 1984. Photographed by user:Jerrye and Roy Klotz, MD, 2007, (own work) [cc-by-3.0 (creativecommons.org/licenses/by/3.0)], via Wikimedia Commons, accessed May, 2014. Atchison County Courthouse is located at 423 North 5th Street, Atchison, KS 66002; phone: 913-367-1653.